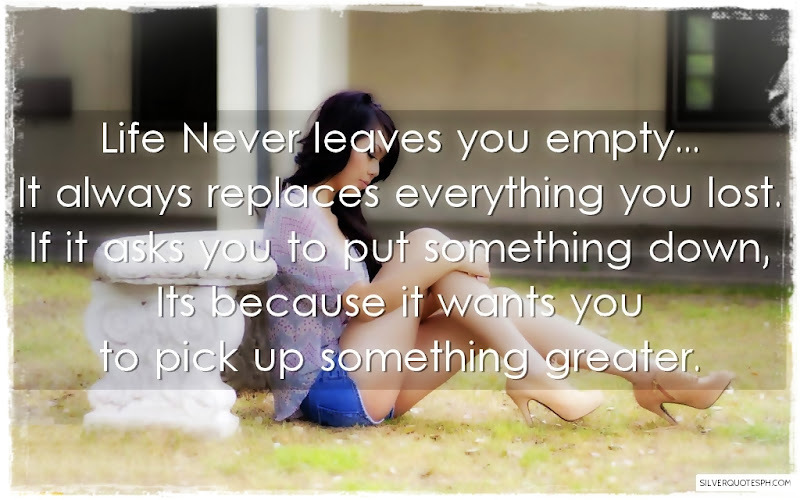 Life Never leaves you empty... It always replaces everything you lost. If it asks you to put something down, Its because it wants you to pick up something greater.